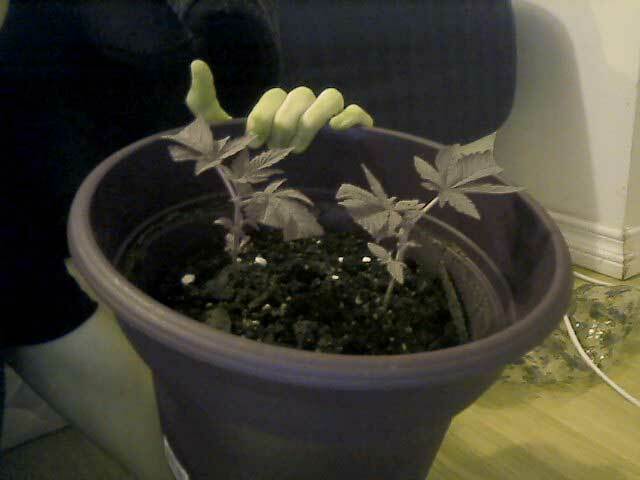 Question: I'm growing weed with CFLs and my plants are growing sooooo slow… What do I do? I've trimmed them down and lollipopped them or whatever you call it and they just aren't doing good. I need some professional help. Is it the pH level or is it the food/nutrients? When I first got the plant I was using Miracle Grow but I've just read online that it's bad. I started them from seeds I found in this killer shake which was sticky and smelled amazing. As you can see from the picture, they are so small, but also keep in mind I just trimmed them. Do I need a bigger pot? I have 10 liters of perlite and also vermiculite. I need help, what should I do? Is it that the pot is too small or maybe the soil? I also kept an extra seed just in case. Should I just start over and mix the vermiculite / perlite with new soil and maybe just keep these ones as practice? I want to make a plant with like a ounce of bud and I just cant seem to make this happen. About 2 years ago I had a 400 watt metal halide light with ballest and all but still didn't work. It was way too hot in my closet but yet the plants still were growing as slow as these ones. I just cant seem to figure out what I'm doing and what I did wrong? Please if u r a professional, help me with all the tips you can give me. Answer: Your plants need more light. Light is like their "food" and your plants are starving. Move your CFL bulbs closer. CFL bulbs should be as close to your plants as possible without burning them. You can hold your hand next to the plant for 10 seconds to test if it's too hot. Keeping CFLs 2-4" away from the tops of the leaves is perfect. Once your plants get more light, they'll start growing faster. As far as the problems you had while growing with the Metal Halide, heat will also stunt growth. Plants need a lot of light, but also a nice room temperature to grow well. 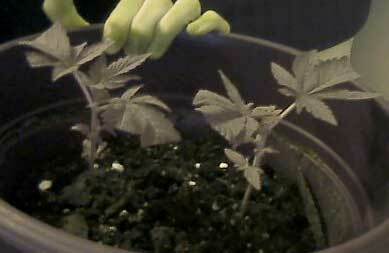 You can't give marijuana plants one or the other, they need both to thrive. You'll see your plants start growing when you move the CFLs closer. Where can I safely get marijuana seeds?